There are some who would say the only way to stop being afraid, unsure, or nervous about something is to face it head-on. That or picture them wearing only their underwear. Although I would say that I do not have a taboo fear of studios remaking a film that was (or was not) a piece of cinematic gold in its heyday, I do get a minor cringe when I see a trailer with an all too familiar cast of characters and plot. Is it because I am picky? Maybe it is the growing list of ‘crash and burns’ remakes that have graced the screens of theaters throughout the world, and not wanting to see another classic added to that list? Who knows? Regardless of the origins, this column aims to try the former of the two coping methods by taking a movie that is at least twenty years old, sitting it down in the stylist station chair, and seeing if the ‘after’ is as favorable as the ‘before’; a revamp of cinematic proportions. Will it be as appealing as the original? Stay tuned to find out! If you want the epitome of ‘Back to School’ nostalgia, it is coming across the catalog for the Scholastic Book Fair that will be making stops at school libraries and cafeterias across the nation. Memories of studying each page, cover to cover, plague you. If you are anything like me, you do not want the cure. One literary character who would most likely agree with me would be the intelligent and always curious Matilda Wormwood from Roald Dahl’s classic, Matilda. 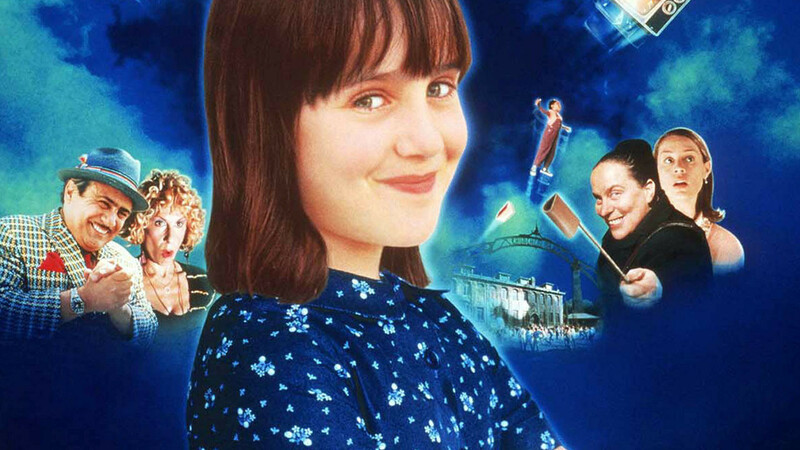 While several of Dahl’s pieces have been translated to the silver screen, the 1996 film Matilda still holds a place in the hearts and minds of viewers (young and old). Whether you enjoyed it for its cinematic values, or like me for the heart of the film’s plot and the kindred spirit found in the lead, it is clear why it is still a treasured cinematic (and literary) experience for so many. So how would you even begin to think of remaking it? I assure you from getting out of the mentality of ‘if it ain’t broke don’t (or why) fix it’ regarding franchise remakes, to picking the cast and crew from a nearly endless list of qualified talent to just relaxing, having fun and keeping an open mind to the hypothetical exercise, it was a bit of a challenge. But you could and will say it paid off. Although there is still little to sway my view of remaking Matilda, here are some suggestions and ideas of who could play the roles if and I mean IF they were to recast and remake one of the iconic films and books of my and many others’ childhoods. IMDb summarizes Matilda well when they describe the film as a “story of a wonderful little girl, who happens to be a genius, and her wonderful teacher vs. the worst parents ever and the worst school principal imaginable.” Under the direction (and narration) of Danny DeVito and his production company Jersey Films, the film was distributed by TriStar Pictures and found favor with various critics as well as national and international box offices. The original cast included the talents of DeVito, wife Rhea Perlman, Embeth Davidtz, Pam Ferris, and the 1980s and 1990s ‘Shirley Temple’ herself, Mara Wilson. Now, let’s fast forward twenty-two years, and take a look at what the film could look like for today’s audiences. While DeVito’s directorial approach to Matilda was just right, modern cult-following audiences would book it to the closest theater to see anything under the Duffer Brothers name. That being said, it would be stylistic, thematic, and visually ideal to have their creative force behind the remake. Their personal and nostalgic touch, with the collaboration of directors such as Shawn Levy, Andrew Stanton, and Rebecca Thomas, would be perfect for keeping the past in the present. To piggyback off of the original director of photography of the film (Stefan Czapsky) who brought a warmth and childlike aura to the film through his camera work, I would recommend Dean Cundey for the role of DP on the modern set of Matilda. His work on Jurassic Park (1993) and Hook (1991) possibly led the way to what cinematography we saw in the original Matilda. It is inviting to all generations of viewers, and no doubt his portfolio of other films are proof enough to ‘hire’ him for the position. Although there are many viable reasons to explore other musical talents, as well as established music for the soundtrack, I have to firmly stick with the musical ears and mind of the original head of the music department, David Newman. My argument is straightforward, short, and simple: score played such a huge role in the effect of the film that little should be changed there. When it comes to Harry Wormwood, it is hard to compete with the iconic look and take that DeVito brought to the role. While I was open to the possibility of Sam Rockwell and Martin Short, I ultimately found that the answer might be in a mix of Woody Harrelson’s Tallahassee from Zombieland (2009) and Woody from Cheers (1982-1993). As for Zinnia, only one name came to mind; Kristin Chenoweth. Her personality as Olive in Pushing Daisies (2007-2009) and Lily St. Regis in Annie (1999) could compare to Perlman’s performance as the gossipy mother and housewife. While it would be interesting to see someone as graceful and gorgeous as Brooke Shields take on the role of “The Trunch”, I would have to choose Gwendoline Christie to take on the infamous role. Although she does not have the age advantage of Pam Ferris, her ferocity as Brienne of Tarth from Game of Thrones (2011-) would be beneficial. All one would need is a qualified makeup artist and wardrobe hand and she would be set. Regardless of which studio remakes or distributes the film, I feel that their first thought would be to go with Emily Blunt. While this is not a bad choice by any means, there are other actresses who would and should have a chance to shine in the sweet and caring role of Miss Honey. That being said, it would be great to see Jennifer Blood, the actress who plays Miss Honey in the Broadway production of Matilda, make her mark on the big screen. Why fix something that isn’t broken? Other choices include Sutton Foster, and thanks to her emotional range in Stranger Things (2016-), Winona Ryder could be a consideration too. While you might like to see Maggie Elizabeth Jones or Millie Bobby Brown take on the role, or the talented Broadway actresses Ava Briglia, Willow McCarthy, and Aviva Winick, I am offering something different in terms of image and story. Two words; Quvenzhané Wallis. Matilda herself is already the odd person who ends up being adopted by the right person in the end. Why not play into that? It would require a risk of artistic license with the plot of the story, along with a strong hook for audiences who would rather stick to the exact tale, but after her performance in Beasts of the Southern Wild (2012), I want to see her again on the silver screen. As you can see dear reader, there was a lot to consider when toying with the idea of a remake. While these choices might never be set in stone, or even brought to the attention of a casting director, it is still a vital part of the preproduction of a film (hypothetical or not). If you have any suggestions to revamp a film in the column, leave a comment or reach out via social media. I would love to hear your own ideas as to how the films of the past could thrive today.